The AP-650 features amazing 250 built-in tones along with full accompaniment and 180 rhythms. It has advanced features which include an LCD display, 16 track recorder, USB storage and registration memory to instantly recall splits, layers and rhythms at an instant. The AP-650 has dual headphone outputs, but also includes a powerful 30W per side speaker system which will deliver sound throughout your home. 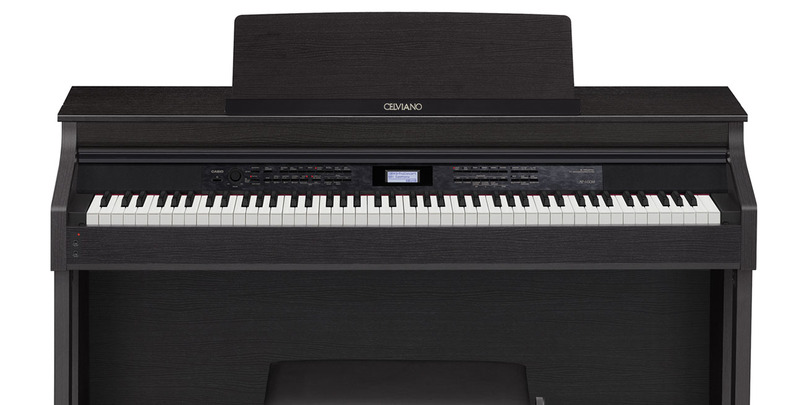 With 256 notes of polyphony, USB MIDI, Duet Mode, 1/4" audio outputs and more, Celviano’s advanced technology and sound will make the AP-650 the perfect addition to any home. Boxed size 58.7" x 22.6" x 24.9"